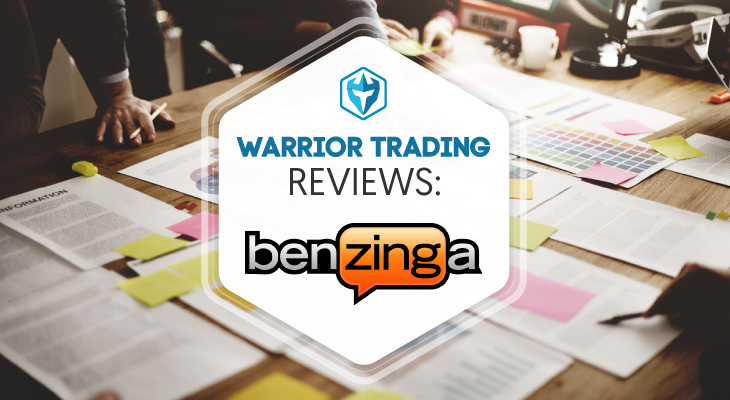 Benzinga Pro has proven to be a vital tool for active traders and is one we highly recommend for both beginner and experienced traders. Hey everyone! Today we’re going to be reviewing Benzinga Pro. As many of you know I use Benzinga Pro everyday. Benzinga provides a real time news feed as headlines break on activist stakes, earnings releases, conference call key points, upgrades, downgrades, takeover rumors, the biggest market movers and plenty more actionable alerts. One of the reasons I enjoy using a financial news radio subscription is that it helps me feel connected to other traders, and the greater market. It’s easy for traders to fall into a bubble, their own little world. In that bubble we can sometimes start to make poor trading decisions because we aren’t away of larger market news or trends. In addition to a streaming radio feed, Benzinga also offers a text feed of breaking news headlines that is searchable, a watch list section, an economic calendar, and the ability to set alerts. 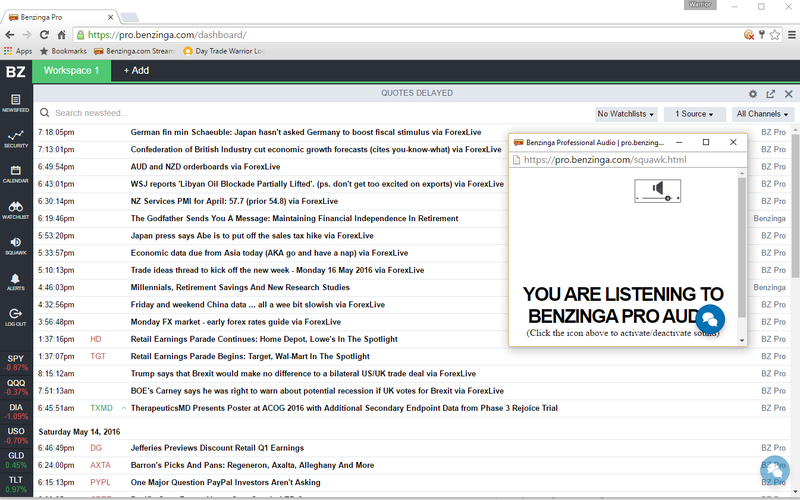 The real value in the Benzinga Pro suite of offerings is the live, minute by minute squawk audio. The live audio provides access to major news and announcements before the news hits the wire and circulates in the normal market feed channels. The benefit here is not only the speed in which the news is delivered but the ability to take your eyes off a text news feed which will cost yourself valuable time. 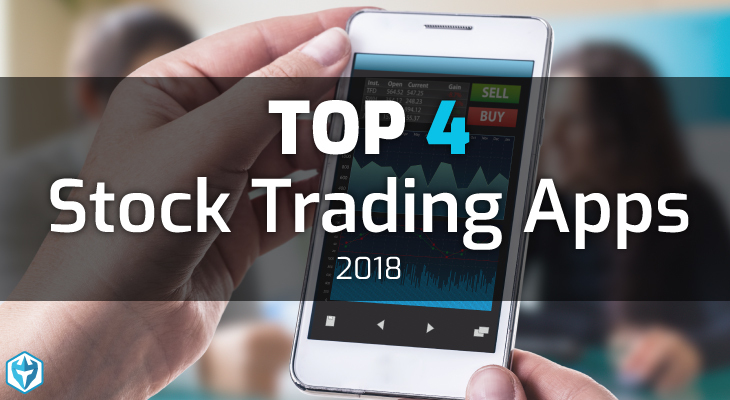 Oftentimes, news is squawked and entry into a trade is well before the rest of the retail crowd allowing for enhanced performance, a key aspect to successfully capitalizing on a Momentum Trading Strategy. Below is a trade I took on $MBLY as breaking news came out over Benzinga. This trade generated enough profit to cover 2 years subscription to Benzinga. As you can see in the picture above, Benzinga Pro isn’t the cheapest service but it doesn’t provide excellent value and insight while trading. For their basic service you’ll get a watchlist, security snapshot and news feed access. The main drawback with this package is you don’t get the audio squawk or full access to the newsfeed which are both my favorite features with Benzinga Pro. 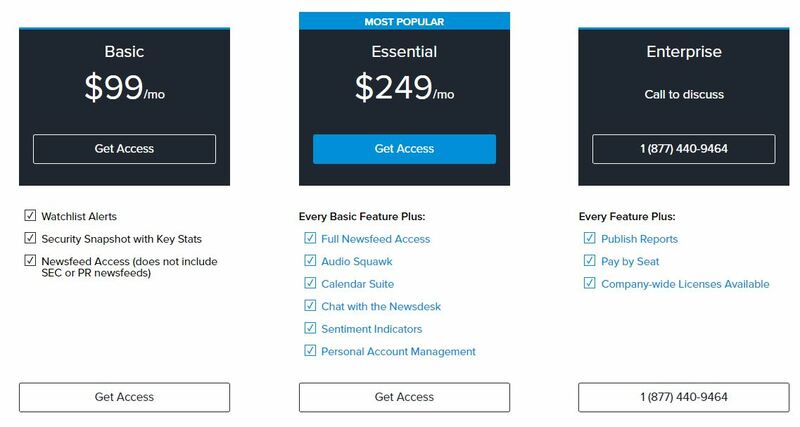 The Essential package has all the shoots and whistles but also comes at a hefty price of $249 per month. To me it’s worth every penny because I need to know exactly what is happening when a stock is making a big move. Without it I am flying blind and could get myself in a real jam. Each morning I have the same routine. I check my Gap Scanners by Trade Ideas, and then search for the news catalyst that is driving these stocks higher. I scan for breaking news using Benzinga and Market Watch. Instead of looking at all the headlines each morning, I simply look for stocks with nice daily charts and then check the news on those names. 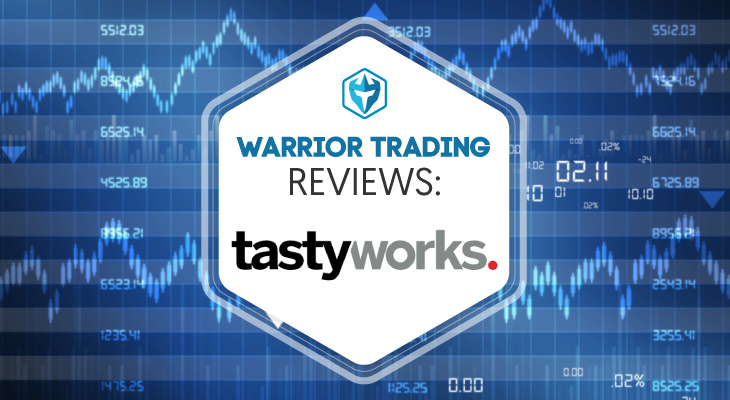 I keep a very close eye as we move towards 9:30 for entry opportunities on the biggest movers. Throughout the remainder of the day, I keep the live audio feed streaming waiting for breaking news headlines and constant updates of market internals. 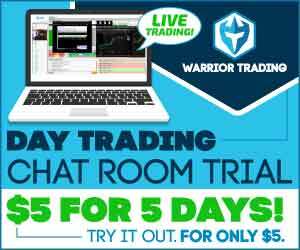 The live squawk feature has allowed me to take full advantage of trading the news successfully and locking in big profits consistently. Without the Benzinga news feeds I would be lost an unable to navigate the markets. Benzinga allows one to remain abreast of the markets and in the best possible position to profit off news headlines. I would never recommend anyone trade blindly off the squawk box radio alerts. Sometimes we’ll hear breaking news that sounds great, but the stock drops. Other times we hear breaking news that ends up being incorrect. The advantage of getting news early is that we have the first chance at getting into the trade, the problem is that we may not know which direction it’s going to move yet. So I often wait for the first pullback and then take a position. I learned the hard way that jumping into breaking news without fully understanding the headline can result in very quick losses! Benzinga has a few competitors, most notable The Fly On The Wall and Trade The News. I have used both services, and found Benzinga to be the fastest to release breaking news. Since we wrote our first review on Benzinga, they have added some great features to their services that we want to update you on. One of the most notable changes and one of our favorites is the ability to add desktop notifications to your news feeds. Once you enable it you will receive a notification on your device which is great because sometimes you aren’t always looking at your news feed! You can also configure it so that you can choose which feeds to get alerts on in case you have very active feeds it won’t be loading up your desktop with alerts. Another notable change they made is the ability to be able to directly chat with a customer support agent or one of their Newsdesk professionals if you’re a premium user. This is a great feature especially if you want to reach out to the Newsdesk directly for any questions you may have. They also added the ability to receive email alerts for PR announcements and SEC filings so you can stay up to date at all times! 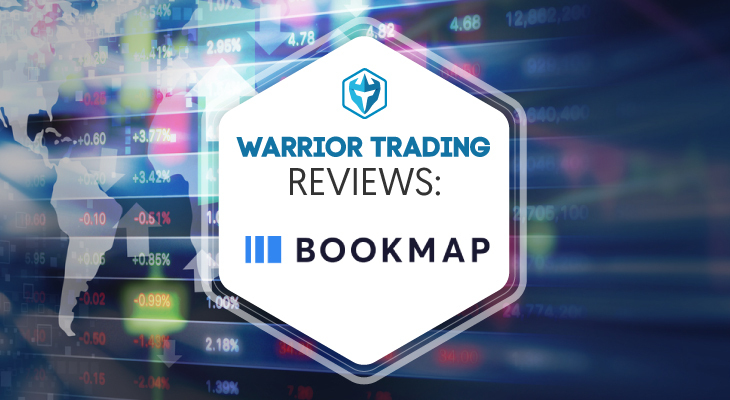 Check out the latest Warrior Trading review by Benzinga! 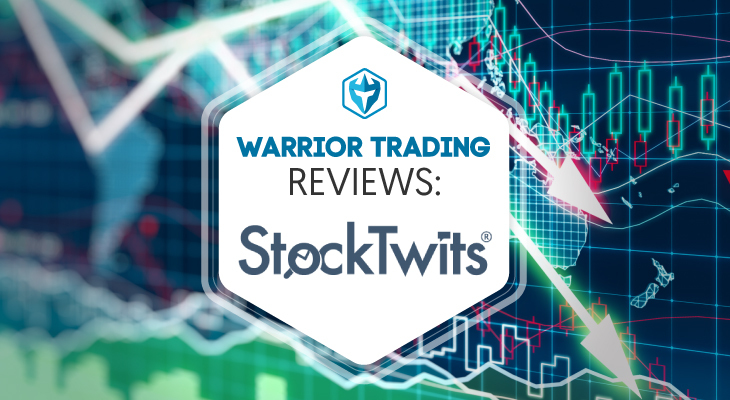 After a news update comes out about a certain stock do you have enough time to read the article and determine which way the stock is going to move and then buy in or by that time is it usually too late? By the time the news has made it to press, and been distributed through the newswires, there is pretty much no chance that some savvy big money investor didn’t already see it. For the most part, when trading news, breaking news in real time is about the only trading worthwhile in the news play arena. 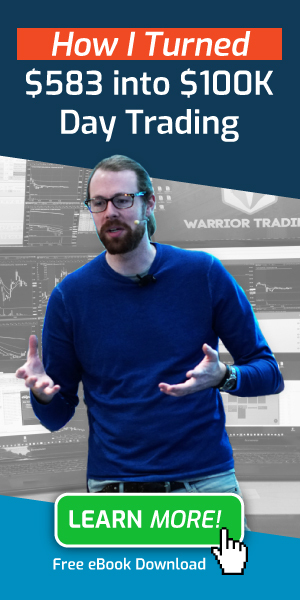 What is your best service package to an investor/Trader?